Home » Joannes Used Books » Adventures of Huckleberry Finn Easton Press Ed. Adventures of Huckleberry Finn Easton Press Ed. Adventures of Huckleberry Finn Easton Press Ed. Easton Press, 1999, Collectors edition Hardback in good condition, NO dust jacket leather cover with 22k gold embossing and moire fabric end sheets with silk book ribbon. 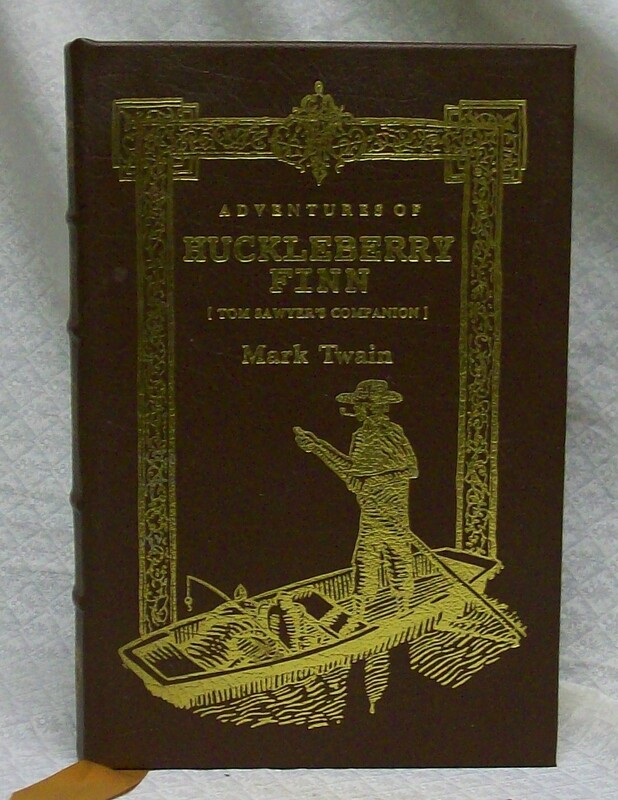 Adventures of Huckleberry Finn (Tom Sawyer's Companion) Mark Twain. Text is clean and unmarked, binding tight, cover very clean. Part of the Easton Press "100 Greatest Books Ever Written Series". We have all read Tom Sawyers adventures, here he is teamed up with his best pal Huckleberry Finn. Really nice copy for your library.